After 7 months and nearly 300 million miles, NASA's InSight has landed on the Red Planet. Seven months after its May 5 launch out of Vandenberg Air Force Base in California, NASA's InSight (Interior Exploration using Seismic Investigations, Geodesy and Heat Transport) touched down successfully on the Elysium Planitia region of Mars during mid-afternoon on Monday, November 26. This marks the 8th ever successful landing on the Red Planet. The spacecraft is scheduled to remain on Mars for a Martian year and 40 sols, its final Martian day being November 24, 2020. InSight's mission is to research how Mars and other rocky-surfaced celestial bodies - Earth and the Moon included - formed. Data will begin to be collected within two or three months, using InSight's two primary science tools: the Seismic Experiment for Interior Structure (SEIS) and Heat Flow and Physical Properties Package (HP3). The SEIS will be placed on the surface of the rocky planet, responsible for sensing "Marsquakes," and the HP3 will burrow 16 feet into the ground, setting a record for the deepest plunging instrument in Martian history. These instruments will be deployed by the spacecraft's 5.9-foot robotic arm, which is also responsible for taking photographs of the Martian landscape. InSight's endeavors on Mars will be solar powered, meaning that it was necessary for solar panels to be deployed almost immediately after touchdown. On Monday evening, NASA received signals from its Mars Odyssey orbiter that InSight's 2 solar arrays - each 7 feet wide - had been successfully deployed and were already recharging the craft's batteries. 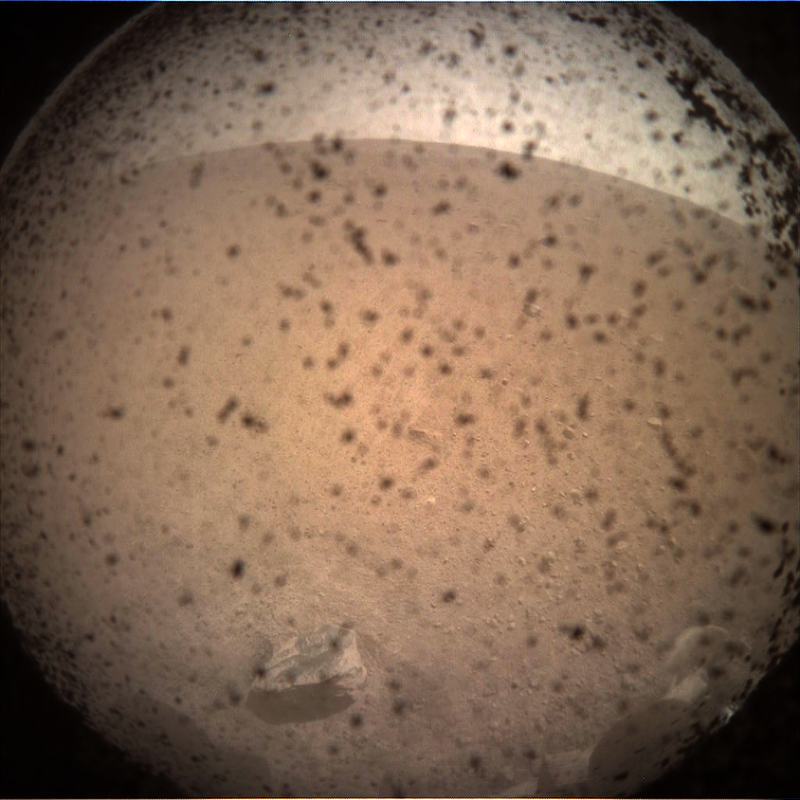 All is seemingly running smoothly on the Martian surface for InSight. This is an extremely exciting time for astronomers and civilians alike because, as stated by InSight project manager Tom Hoffman, "We are well on our way to thoroughly investigate what's inside of Mars for the very first time."